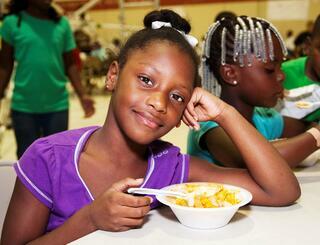 1 in 7 Memphians struggle with hunger, according to Feeding America. In addition to this number, 1 in 5 children go to bed hungry every night. This summer, we are once again teaming up with the Mid-South Food Bank for Operation Feed, the largest annual food drive run by the food bank. We are looking forward to making this year better than ever! Operation Feed will run this year from May 14 to July 31. Your group will compete with other groups of similar size. Once you are officially signed up for Operation Feed (which you can do by filling out the form below,) you can then begin collecting as much food and funds as you can. Some of the most needed food items include canned meats and soups, peanut butter, canned fruits and veggies, and other non-perishable items. The Mid-South Food Bank asks that you refrain from items that come in glass containers. The more food and funds you collect, the more points you earn and more importantly, the more people that are fed. Operation Feed is a national program that was started by United Way in 1991. For the Mid South Food Bank, it is their largest food and funds drive. The purpose of this drive is to keep the food pantry fully stocked during the summer months when school is out and their resources are strained. This food drive also fosters friendly competition between companies and other group participants. The group who collects the most food/funds will be awarded prizes at the OP Feed Finale. Operation Feed is a great opportunity for the community to band together in order to fight hunger across the Mid-South. For law firms, there is the Object to Hunger competition which is a friendly food drive between law offices.